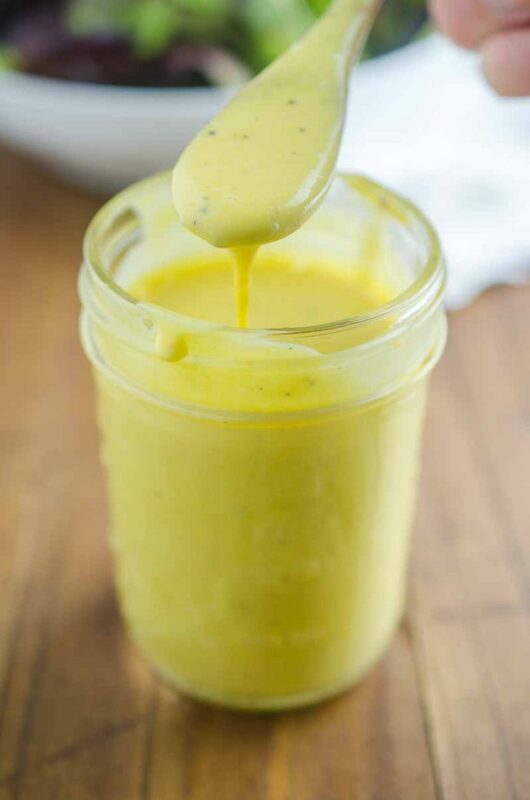 Sweet and tangy Honey Mustard Dressing is great to drizzle over your favorite salad or to use as a dip for chicken and fries. When it comes to dressing, what is your favorite? I am a huge fan of ranch, caesar and oil and vinegar. From time to time though, I switch things up for something a little sweeter. Something like honey mustard dressing. I worked at a restaurant the first time I tried Honey Mustard Dressing. I was hooked. The creamy, sweet tanginess got me right away. I loved it on salads and especially as a dip for chicken tenders. I haven’t worked at that restaurant for over a decade, but I still make this dressing all the time. Sure, dressings are easy to buy at the grocery store. But did you know, that dressings are also really easy to make at home? 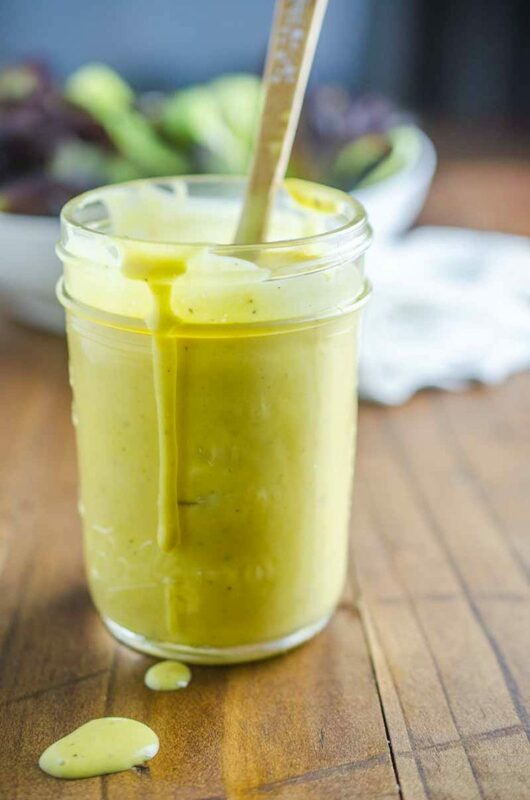 I make several of my own dressings from vinaigrette to creamy pesto to bacon dressing to this Honey Mustard Dressing. 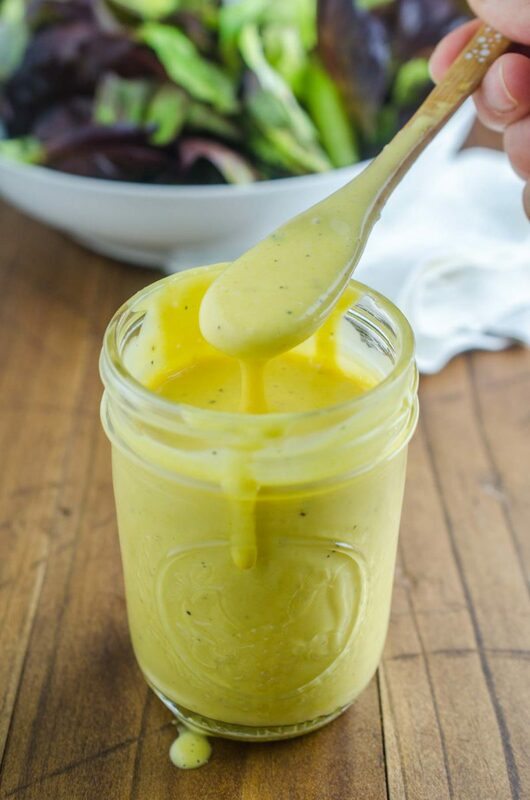 This honey mustard dressing is really easy to make. You likely have all of the things that you need in your pantry already. You will need mayonnaise, mustard, granulated garlic (garlic powder works too! ), vinegar, salt and pepper. See, easy peasy! When I was trying to recreate the dressing that I remembered, I tried a few different mustards. I tried grainy mustard, dijon mustard and yellow mustard. I wasn’t crazy about either the grainy mustard or the dijon. Instead, I found that I liked yellow mustard the best. It wasn’t overpowering, it was just the right amount of mustard flavor. 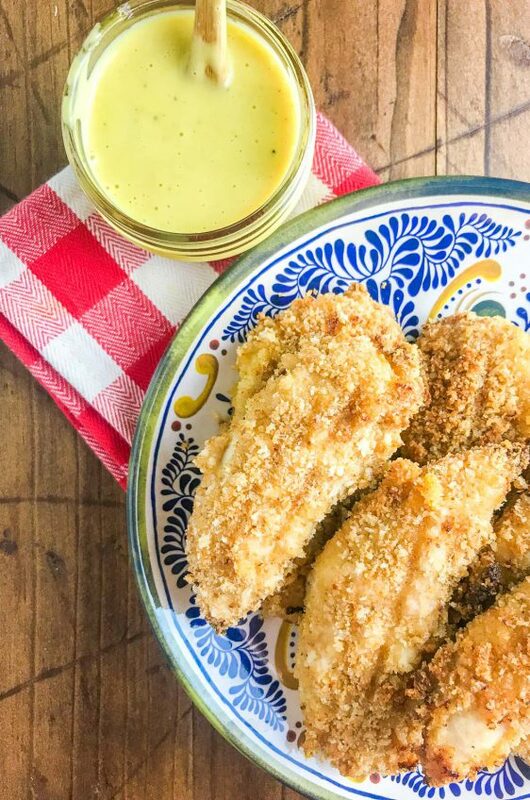 One of the great things about this honey mustard recipe is that it can easily be doubled. 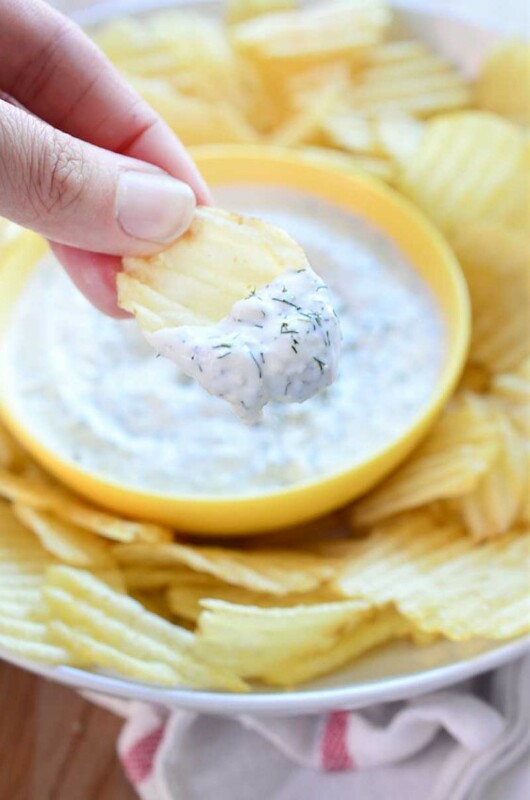 I have doubled it on several occasions for when we have company, when I decide to use it for a marinade for chicken or when I use it as a dip for chicken tenders. The dressing will keep a for a few days in the refrigerator. 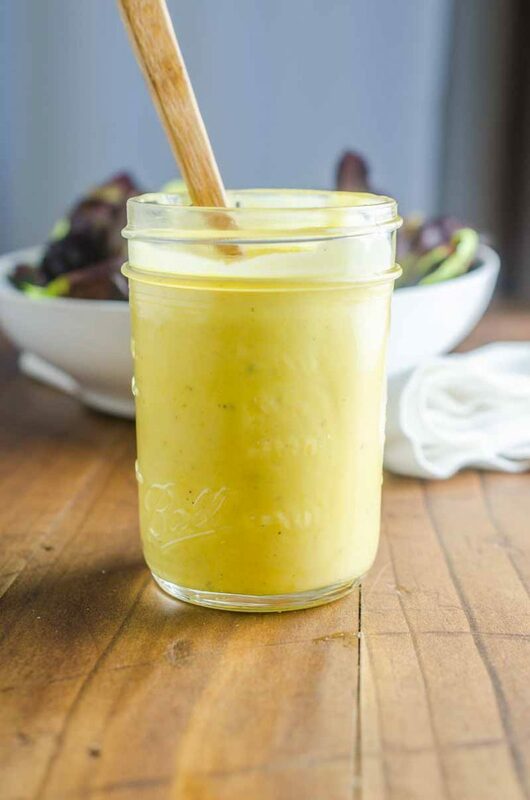 One taste and I guarantee, you’ll be making your own honey mustard dressing from now on. Whisk all ingredients together in a bowl. Cover and refrigerate for at least 30 minutes. 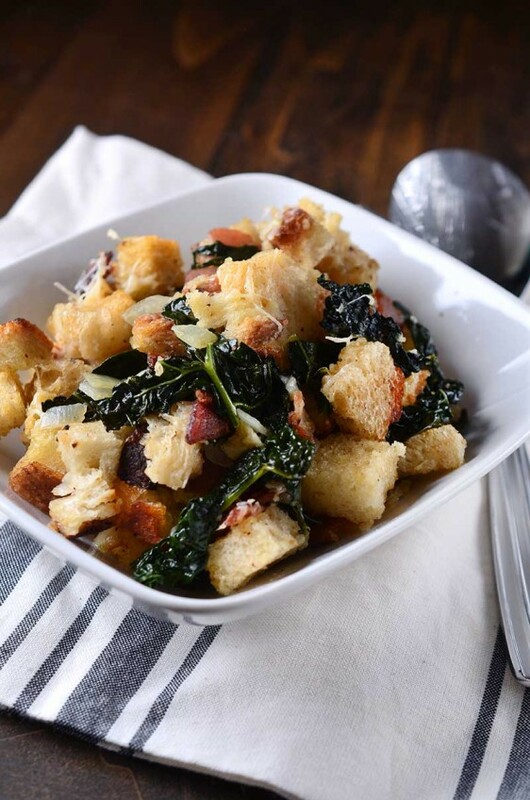 Serve with your favorite salad or chicken tenders. Will keep covered in the refrigerator for a few days. This is definitely a must-make! Thanks for sharing your recipe! I am sure I could not stop eating this! Homemade is the best and that looks perfect! I can’t pick a favorite dressing – I love so many. We do love Honey Mustard. It is so versatile and yours looks perfect! Love to make my own dressings! This looks delicious! Homemade is always better than store-bought, so I am excited to have a recipe to try! 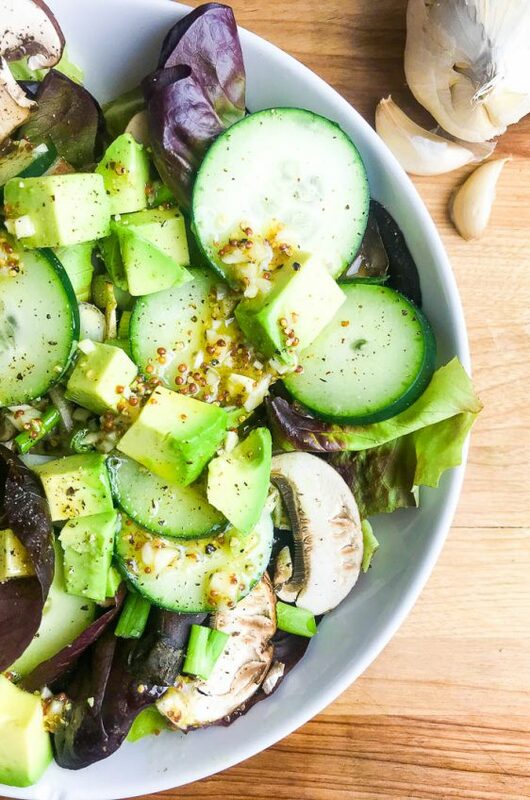 I want to make some chicken strips just so I can dip them in this dressing – yum! 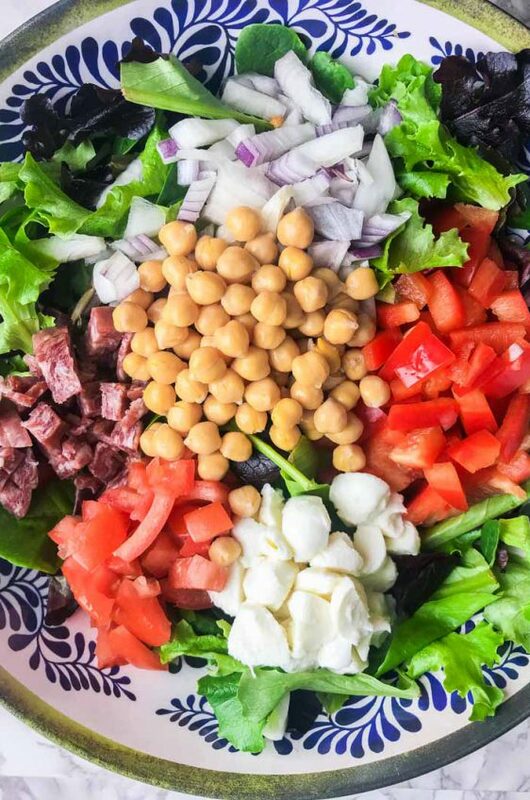 It really does look like the perfect salad dressing! Wow! 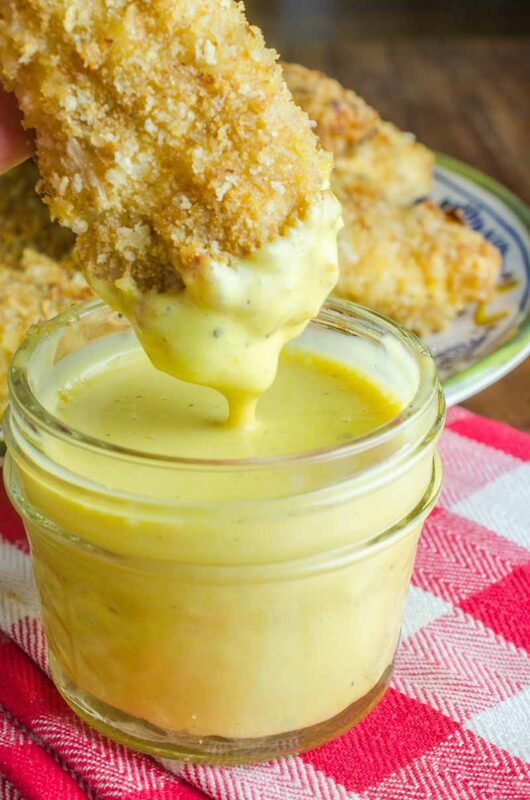 I had no idea that honey mustard was so easy to make. I am definitely whipping up a batch of this to keep in the fridge. This is my favorite for salads and crispy chicken! 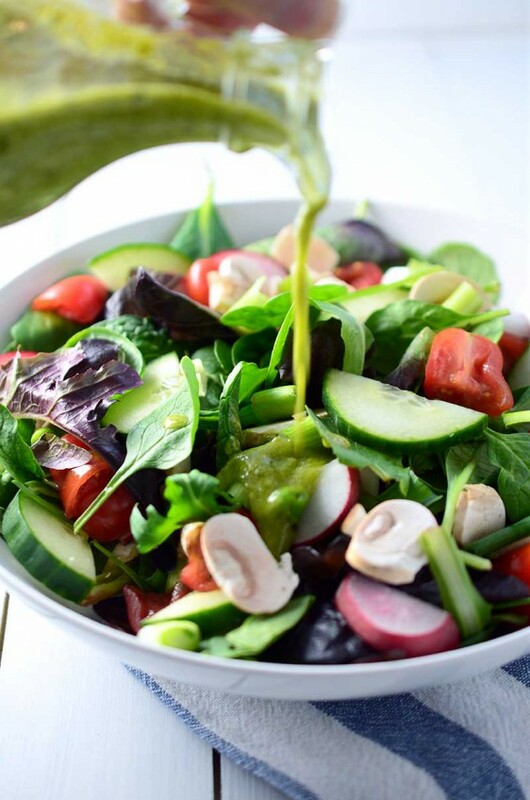 Homemade dressings are the best!